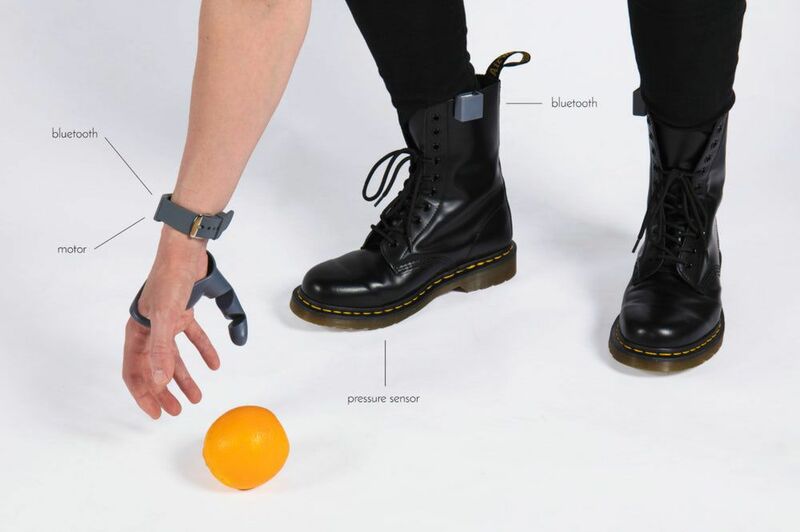 Royal College of Art (RCA) graduate student Dani Clode wants to change the way that people think about prosthetics, and she’s designed and created The Third Thumb to make that happen. Stick with me, it’s really cool. The thumb straps onto your hand on the side next to your pinky finger — you know, the side with the thumb deficit — and connects with a bracelet you wear on the same side of your body. The bracelet contains servo motors and wires that respond to commands it receives via Bluetooth. You actually tell it what to do with pressure sensors placed under the soles of your feet; to grasp something, you just press down with one foot. Clode told Dezeen this is an easy thing to learn how to do. 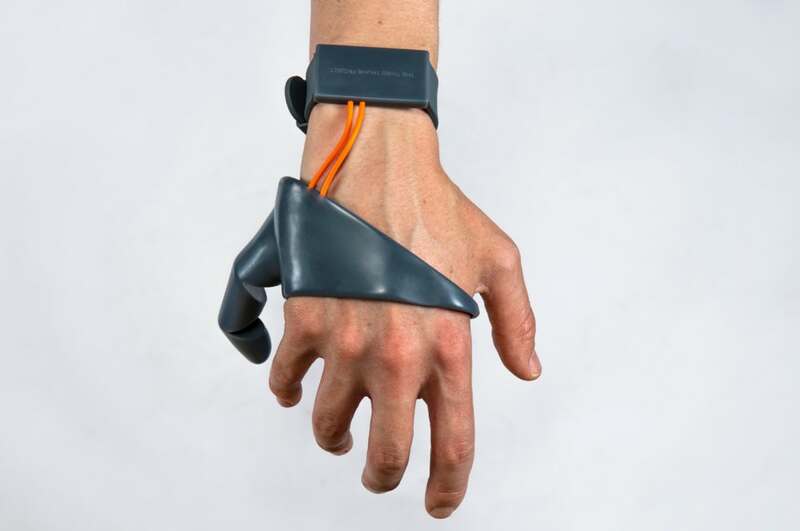 The thumb itself is made of a flexible plastic, and uses a cable system to function. 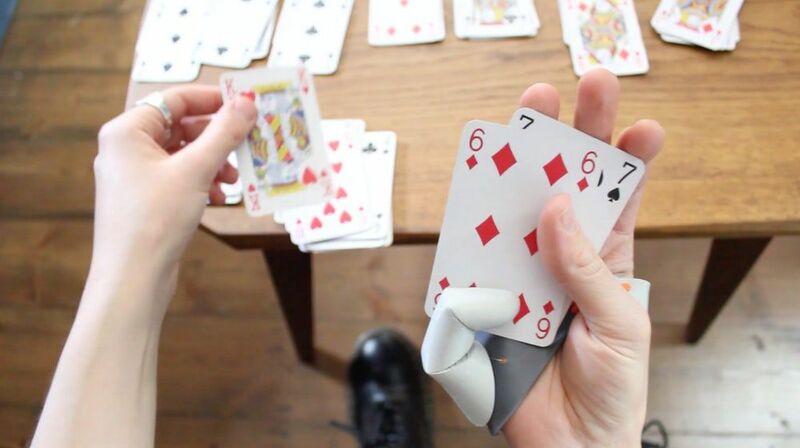 This design is intended to mimic the naturally dynamic movement of the thumb. The 3D printing design will also allow for customization in future versions of the design.